Twenty years ago, in colonial Marseilles, the young Five Fingers gang take a violent stand against brutal police oppression. Having fled Marseilles in disgrace, one of the gang’s members, freedom-fighter-turned-outlaw Tau, now returns to seek a peaceful, pastoral life. But when he finds the town under new threat, he must reluctantly fight to free it. Will the Five Fingers ride again? 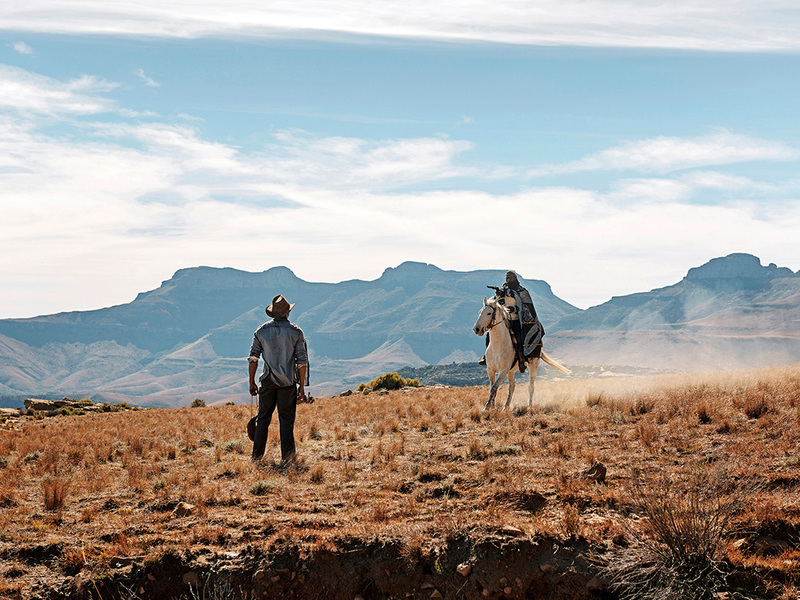 The great Westerns have always contained socio-political threads, and Five Fingers’ loose allegory on current South African politics is deep, dark, edge-of-the-seat, and starkly human. Deftly constructed by director/writer combo Michael Matthews and Sean Drummond – some of the freshest and most innovative voices in contemporary South African filmmaking – Five Fingers for Marseilles fuses western influences, from classic Ford-era to spaghetti and revisionist eras, into a contemporary thriller played in local tongue by four generations of acclaimed South African stars. Its thrilling and intensely raw tone is made only more breathtaking by the stunning backdrop of the Eastern Cape against which the drama unfolds.